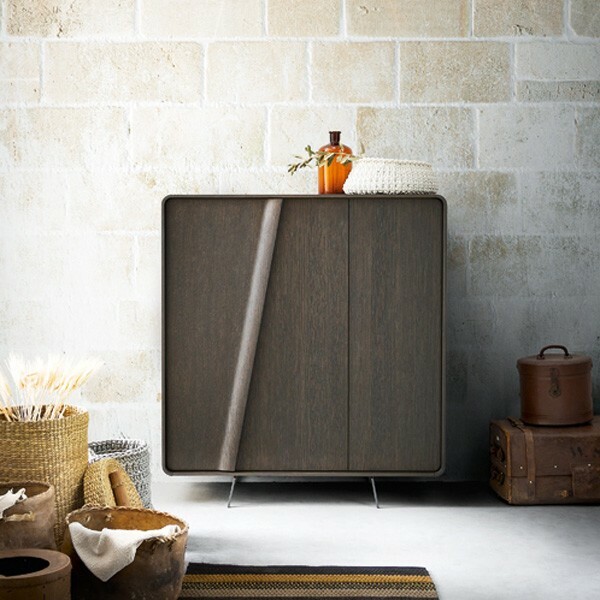 The contemporary Musa cabinet features three hinged wooden doors and a metal base. Inside are six wooden shelves. 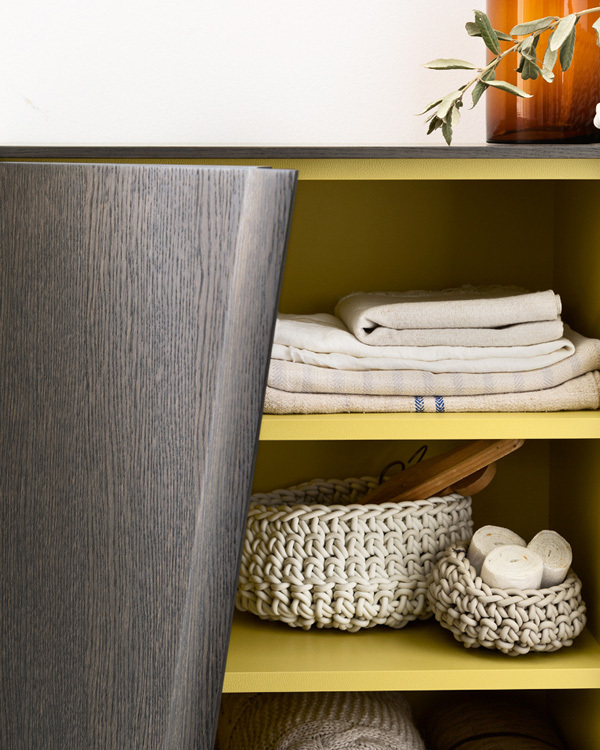 The doors and main body are available in matt colors (painted with/without the wood grain visible) or fashion oak (wood stains). The interior is available in a wide range of matt colors. The base is painted iron metal as standard (see main image) or in a range of colors.